These high detailed life-size models show superficial structures as well as internal bones, muscles, ligaments and nerves. One piece. 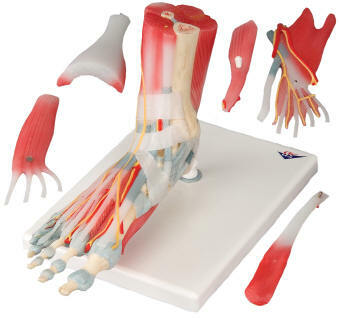 This detailed model displays numerous important ligaments and tendons including the Achilles and peroneus longus tendons of the ankle. 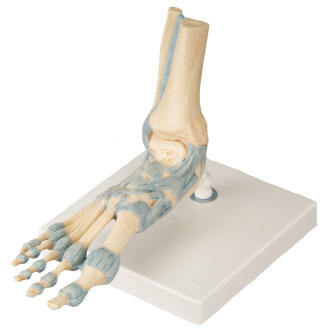 This model consist of the foot bone and lower portions of the tibia and fibula, including the introsseous membrane found between them. All the anatomically important ligament and tendons are show.